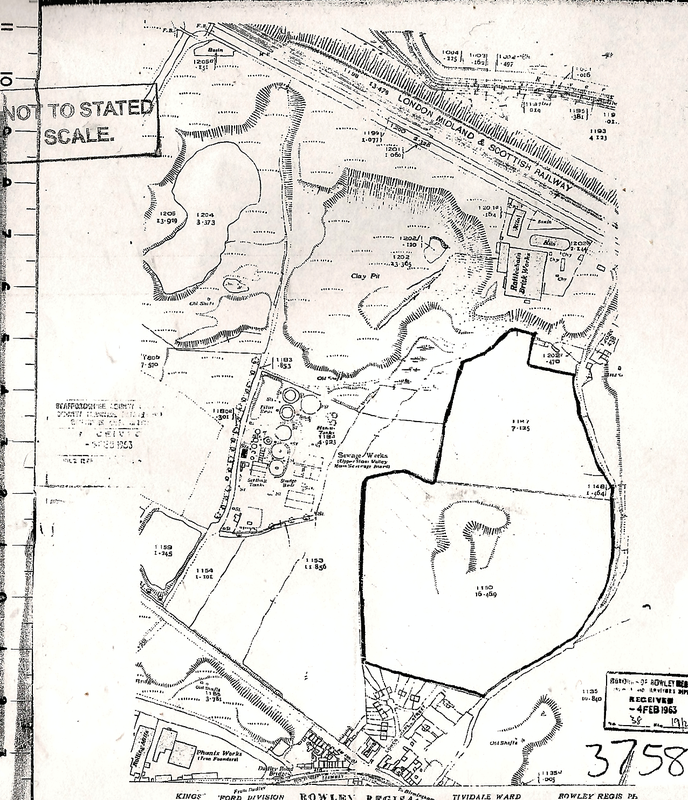 LIST OF CHRONOLOGICAL PLANNING APPLICATIONS AND SUMMARY OF DEVELOPMENTS ON THE RATTLECHAIN BRICKWORKS SITE AND ITS ASSOCIATED CLAY PITS. This application concerned another deviance of activity from brickmaking but another black country “tradition” of tatting for metal. 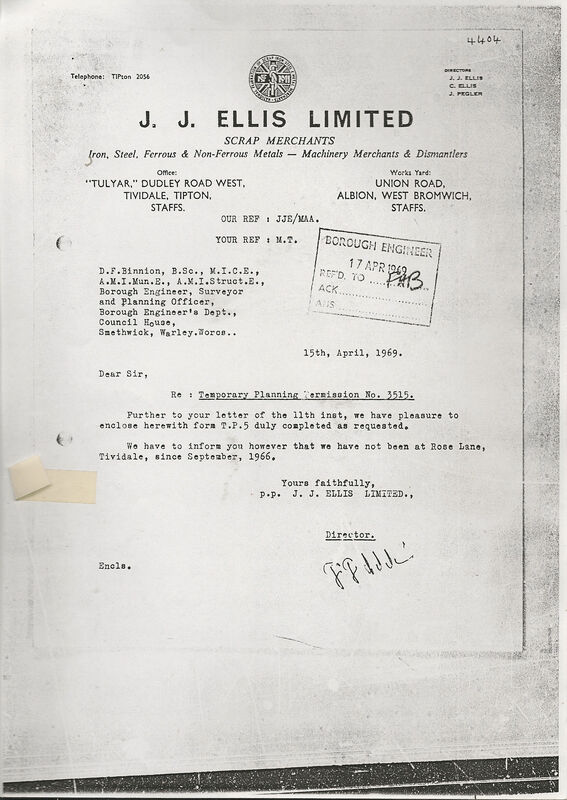 JJ Ellis Ltd applied for permission to use a small parcel of Sheldon’s land (0.4 acres) abutting Rose Lane, south east of the brickworks buildings. 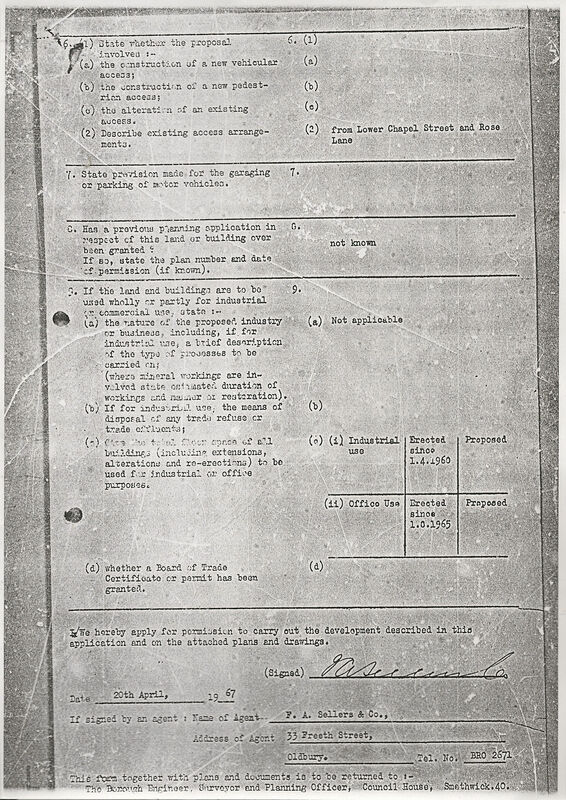 This process would have involved the import of junk material onto the site via Rose Lane. A six year period only was granted. 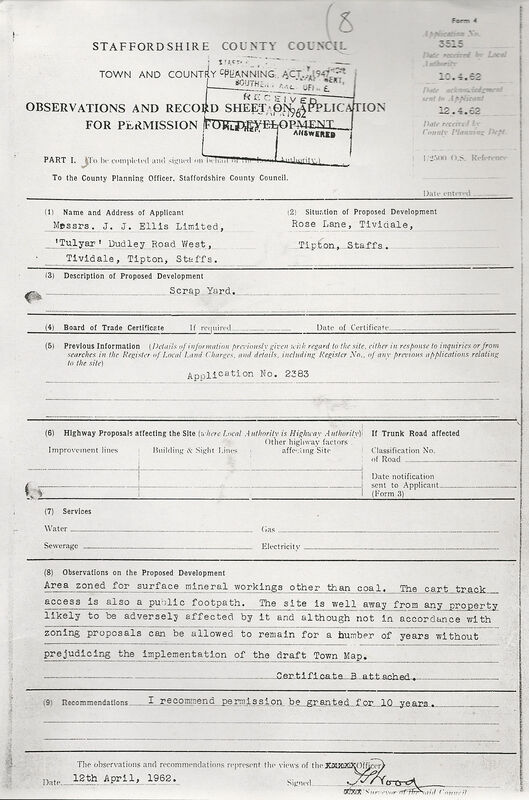 Note- a form B for a Mr S. Sheldon of City Road Tividale is attached as the landowner of the brickworks site to which the application related. 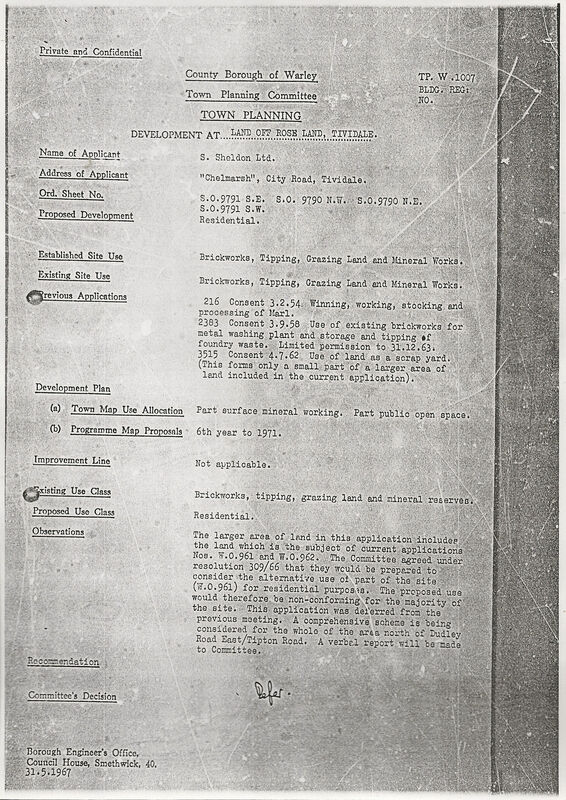 A handy resume of previous surrounding land uses is given in the observations where recommendation for approval was made by the area planning officer. 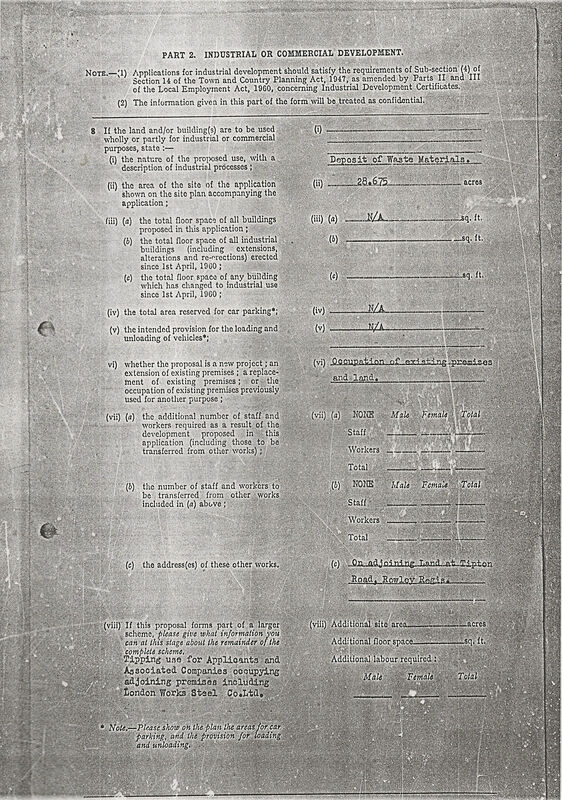 It also confirms that The Phosphor Bronze Company, given limited time permission to use land for their industrial concerns, was never taken up, (application 2383). 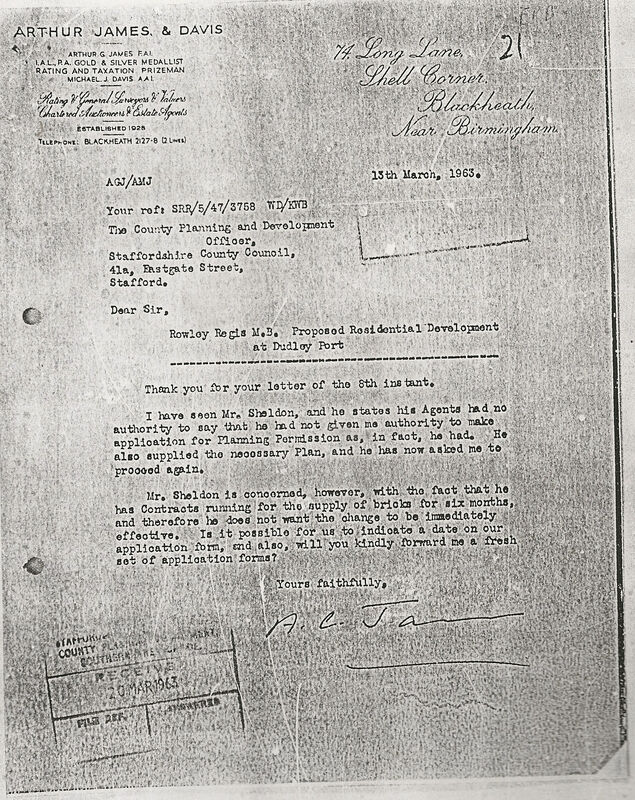 A letter to the borough surveyor however from J.J. Ellis on 15/4/69 confirms that “we have not been at Rose Lane Tividale since September 1966″, indicating that the tenancy had only lasted for 3 of the six years. 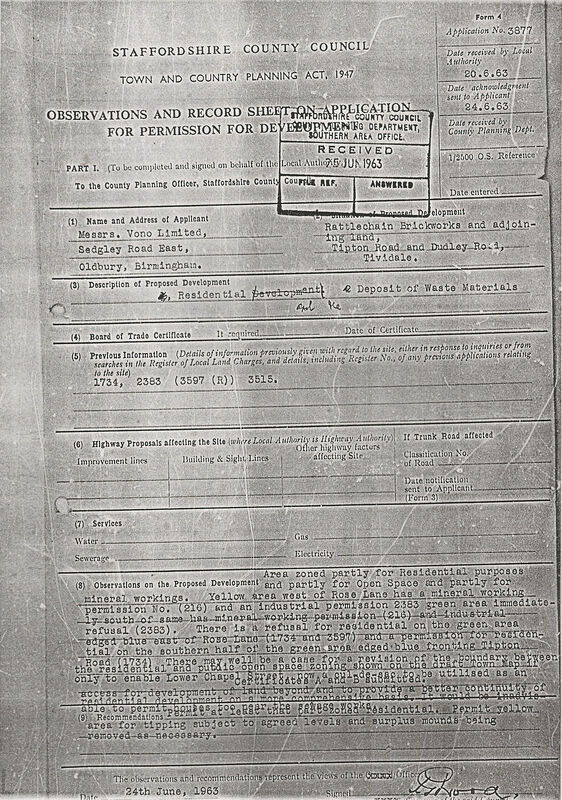 3758 Change of use for land from mineral workings to residential for the erection of private residencies. Brickworks will cease to operate. 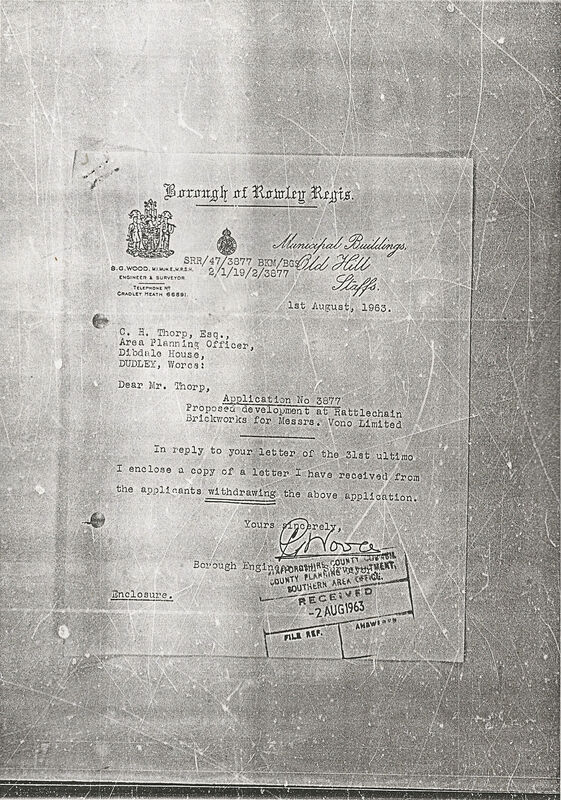 The application is made in Sydney Sheldon’s name with his home address being given. 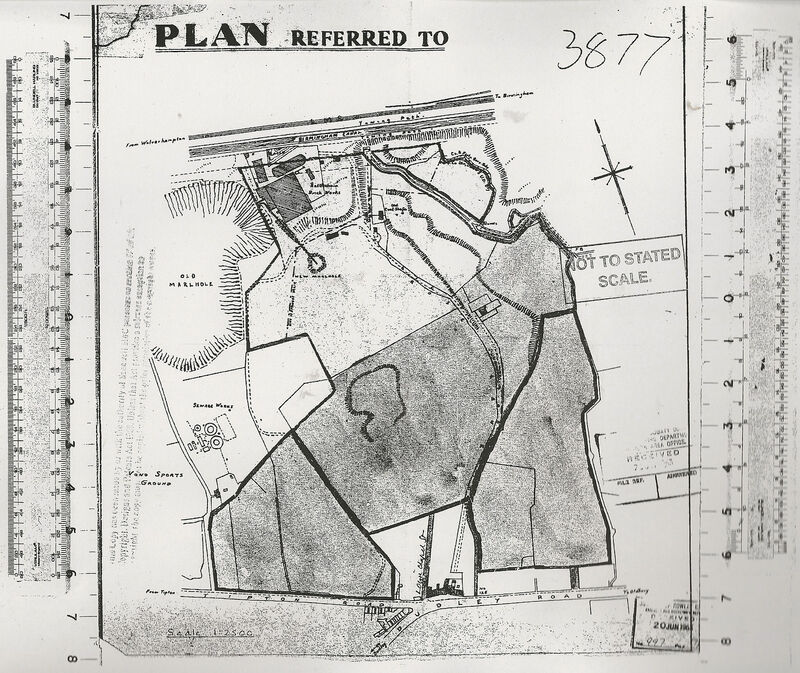 The forms below record the observation that there is a large marl hole in the field immediately below the brickworks buildings to the South, ie the newly dug pit created in 1946. 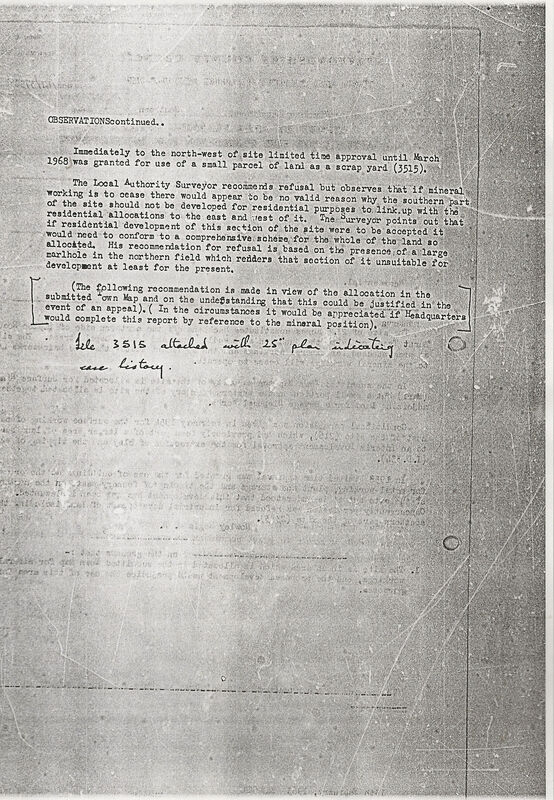 “It is therefore not suitable for residential development nor is it likely to be for many years.” It is recomended to refuse the application. 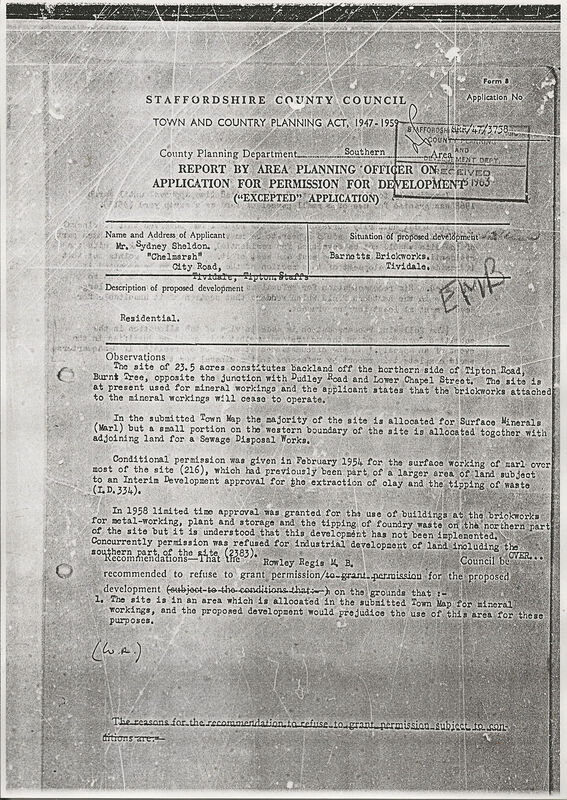 Perhaps not surprisingly, the planners are a little confused as to why an application for residential development should be being made on a brickworks site that had previously looked to extract marl for over 60 years. 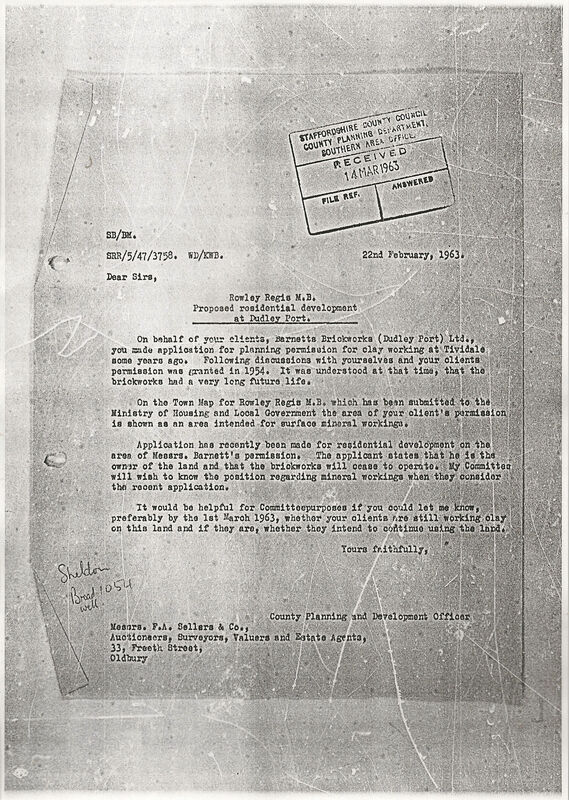 The letter below is addressed to F.A Sellars, Sydney Sheldon’s agents. 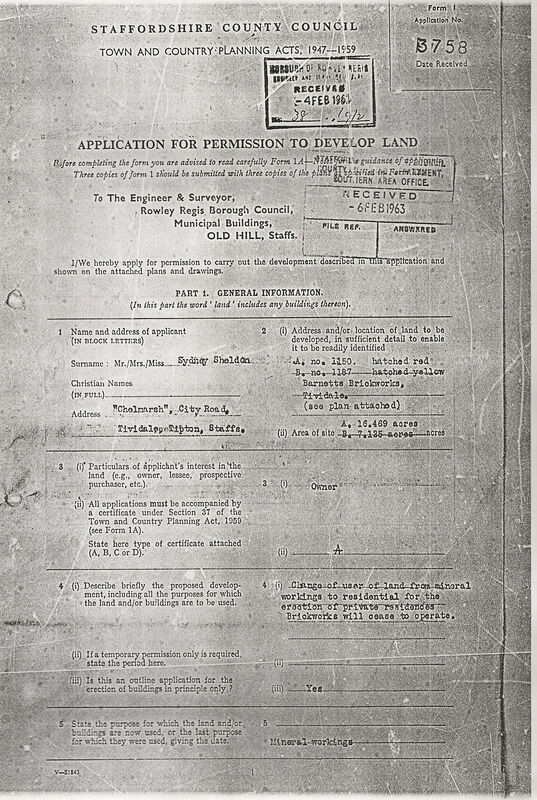 The reply from the estate agents gives even more confusion.“I have had a word with Mr Sheldon of Barnett’s Brickworks (Dudley Port) Limited, the owners of this land, and understand that he has not authorised any application for permission for residential development on any part of the brickworks.” They ask that this apparently forged application be withdrawn. 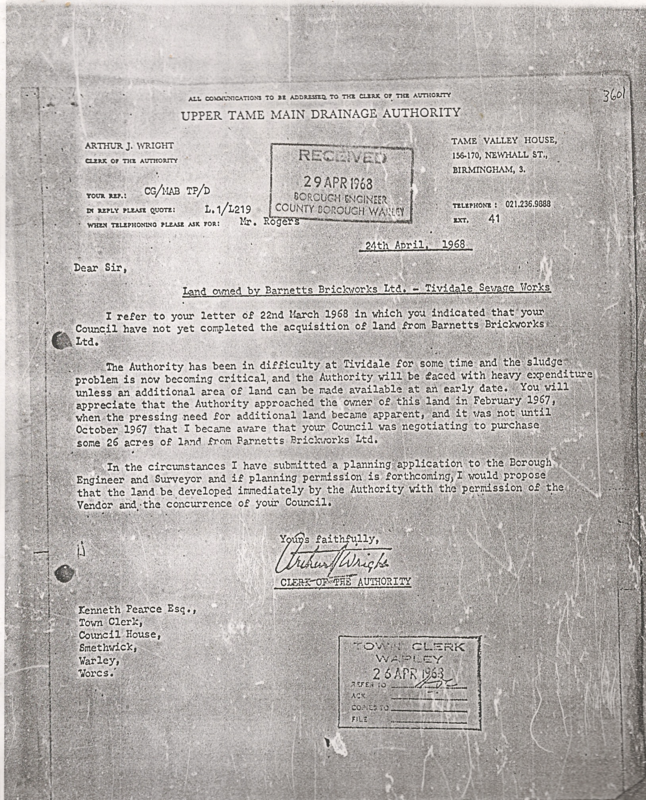 The planning authority then write to the originator of the application, refering them to F.A Sellars letter that the owner of the brickworks did not give his consent to make the application in his name. It is difficult to see what exactly was going on here, and why if Sydney Sheldon had wanted to end brickmaking he was apparently going about it in a rather clandestine but not particularly clever way. Perhaps there were misheard words down the Boat pub over a couple of large V.A.T’s, but F.A Sellars and Arthur James and Davies cannot both have been right about the claims made by the man who owned the brickworks, unless he told people different things at different times to suit his own purpose, or perhaps it was an intent to see what the reaction of the planning authority would be to completely changing the nature of the use of the site. The latter estate agent are asked to make a fresh application, yet none in their name was ever made. 3877 Residential and the deposit of waste materials. There is discussion on both previous and then current and concurrent applications for the wider area, which gives the impression that the planning authority at this point were fairly disconnected in what they really wanted to achieve in this rather desolate area. The lack of joined up policy has left a terrible legacy of blight ever since. 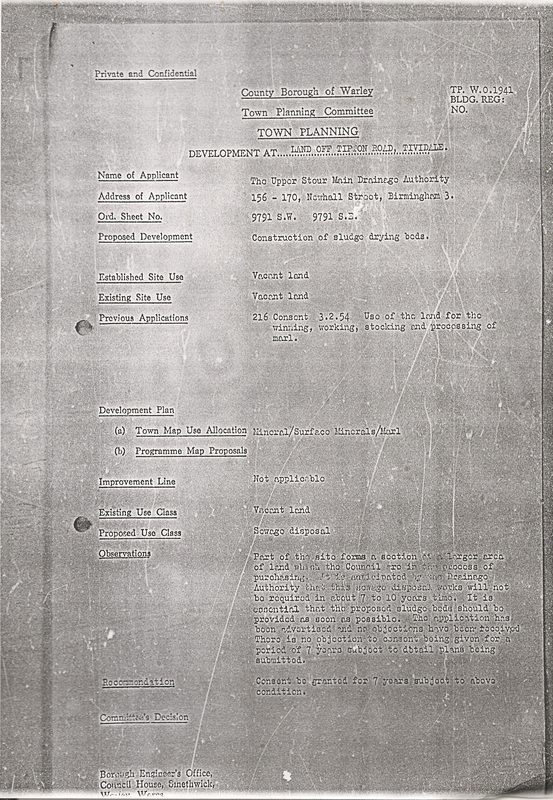 The following are notes of a meeting held between interested parties on 8th July 1963. 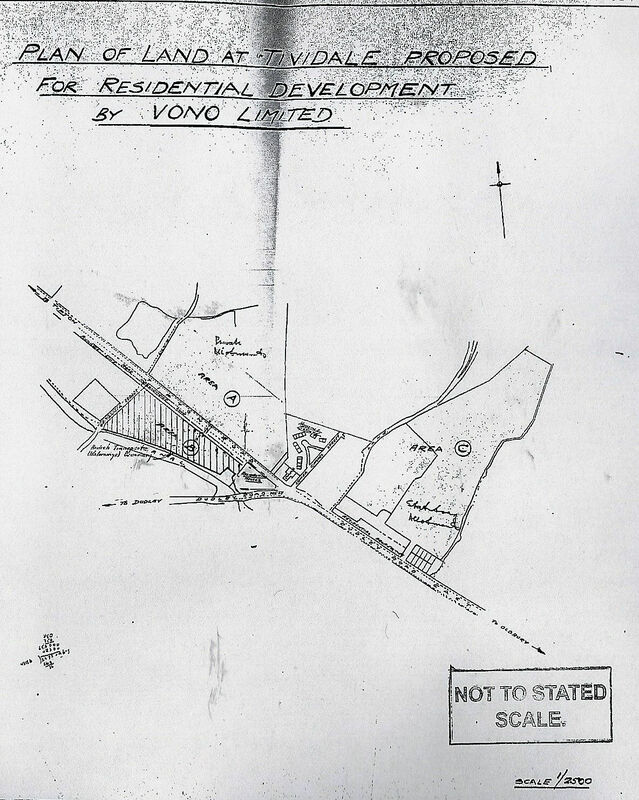 This reveals that Sheldon and Vono could not agree terms on the use and sale of the brickworks land. 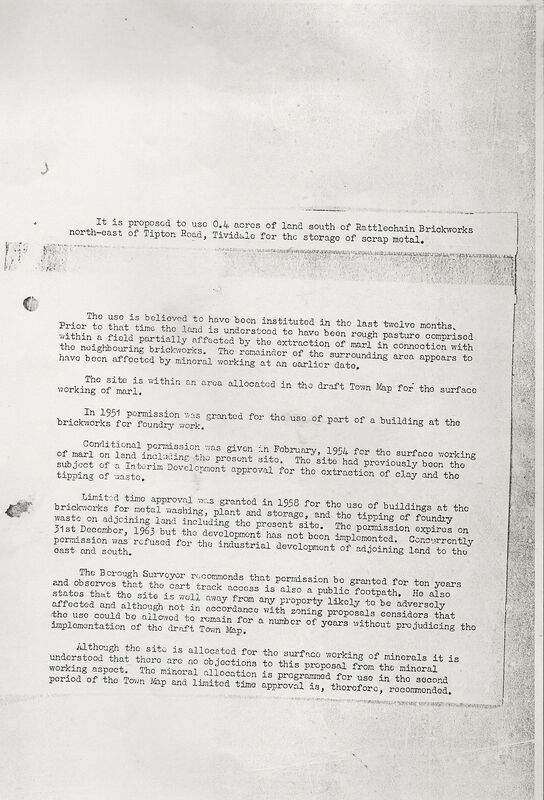 It is obvious that agreements with Vono did not take place, leaving the increasingly redundant brickworks in the hands of its reluctant owner, who by now was just 9 years into an estimated marl extraction of 50, given the 1954 application for mineral working at the site. 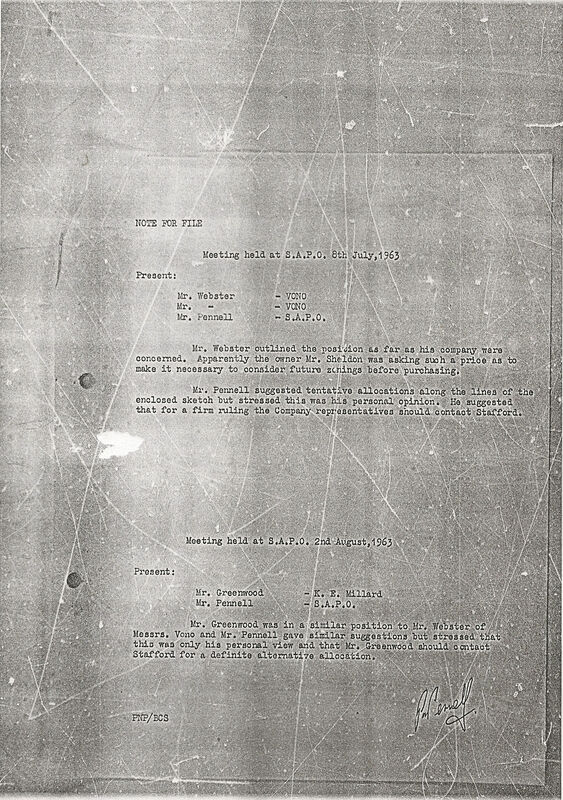 The context of what appears to be Sheldon’s own unsanctioned and open “Rattlechain tip” around this time in history is given below in this letter obtained by swanwatch from Albright and Wilson to Roman Mosaic, a company with absolutely no connection to the site whatsoever. Unidentified substances from his tip are obviously able to breach into rattlechain lagoon. 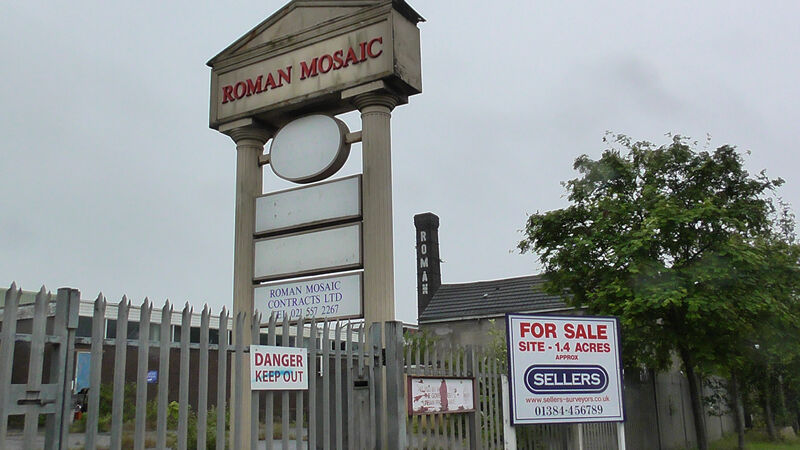 Roman Mosaic were based at Bloomfield Road Tipton. The site ironically is now a derelict tip of its own- and what a coincidence as to the site sellers. These relate to two separate planning applications, though no records apparently exist of the latter application. Both are referenced in the subsequent application W1007, (see below) The exact area of both applications is unclear from the plan. 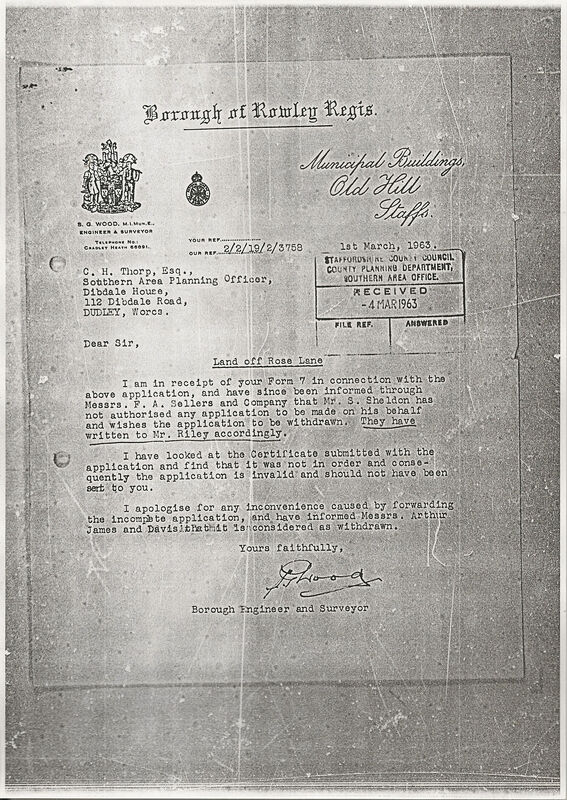 It is clear in a letter dated 8th May 1970 that this application though approved had not been commenced and the indication that an extension of time be allowed beyond the 3 year limit. 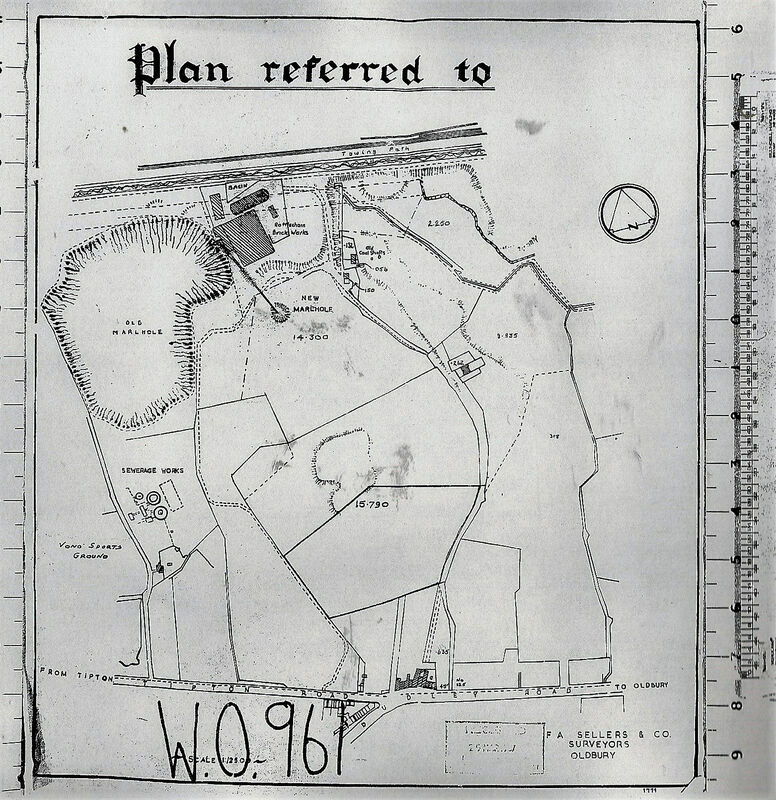 W.0.961 consisted of residential development covering 7 acres. 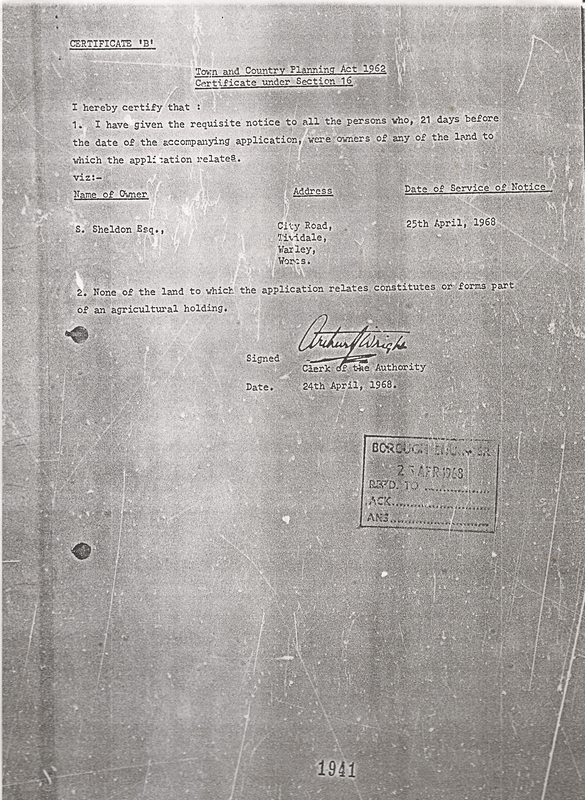 Once again the applicant is given as S.Sheldon Limited. 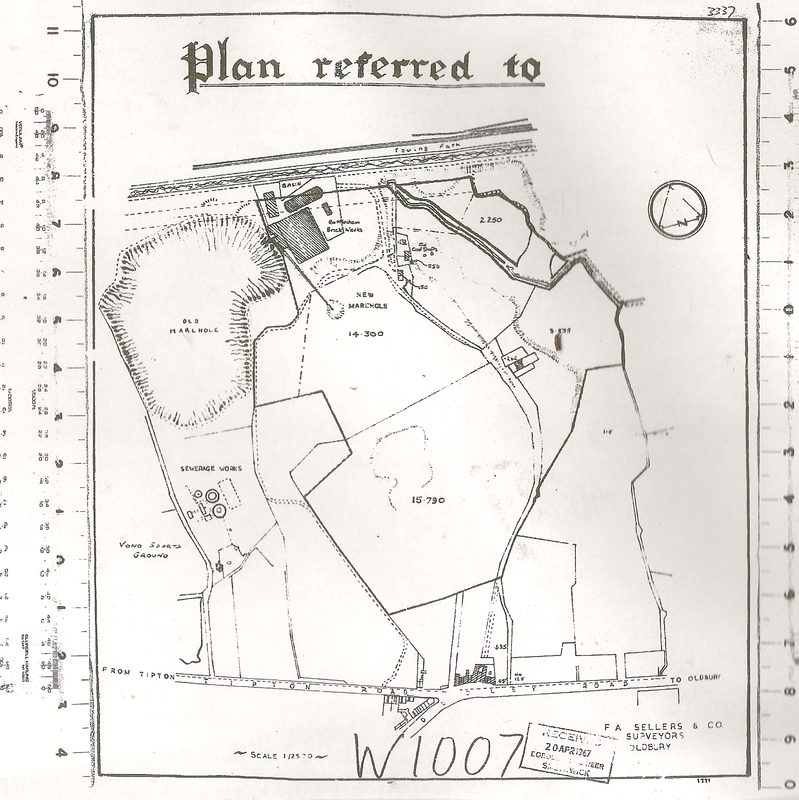 In this application Sheldon does appear to give F.A sellers permission to submit an outline planning application for residential on the brickworks site, which appears strange given other previous applications along similar lines that were withdrawn. 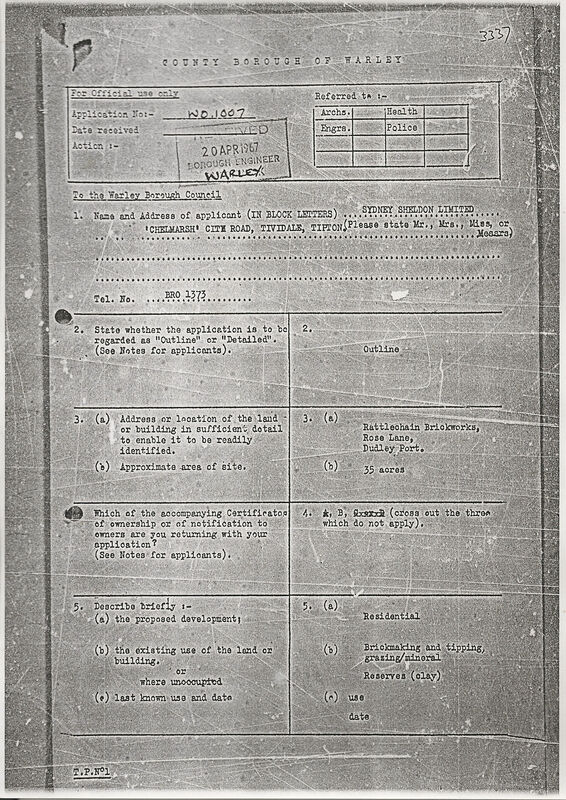 It is made however in the name of “Sydney Sheldon Limited” and quite bizarrely a form b is submitted to “Barnett’s Brickworks Dudley Port Limited”- to which he is of course the managing director. This form states that the existing use of the site is for “brickmaking and tipping.” WE WOULD LIKE TO RESTATE THAT THERE WAS NO EXISTING LAWFUL USE FOR TIPPING ALLOWED ON THIS SITE. Previous permissions allowing other companies limited time permissions had expired by now. 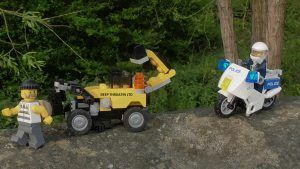 We do not know why planning officers would not be aware of this at the time, and so it is a poor oversight on their part. 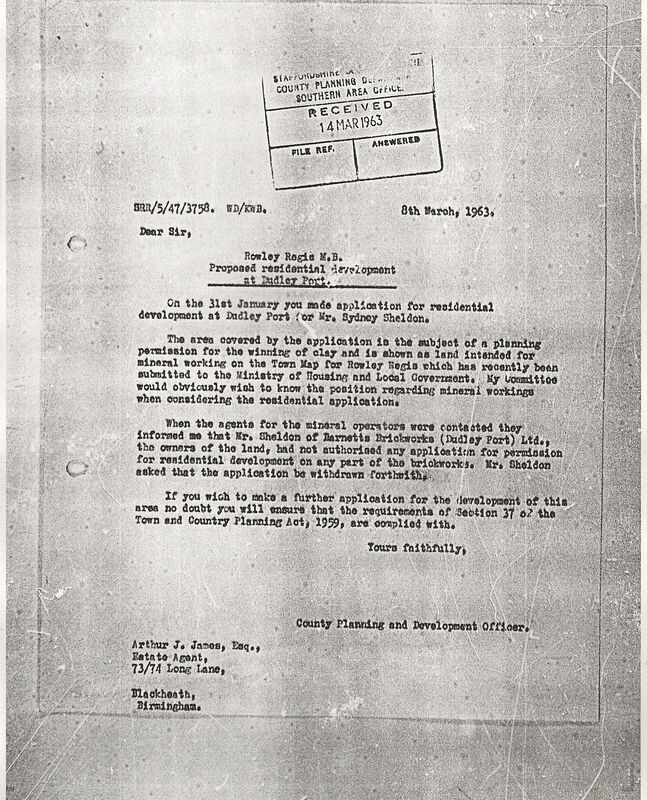 Question 8 on the form asks if any previous planning application has ever been submitted on the land in question to which the reply “not known” is given. BOTH THE APPLICANT AND HIS AGENTS WELL KNOW THAT THIS STATEMENT IS FALSE. My one “company” is serving notice on my other company. 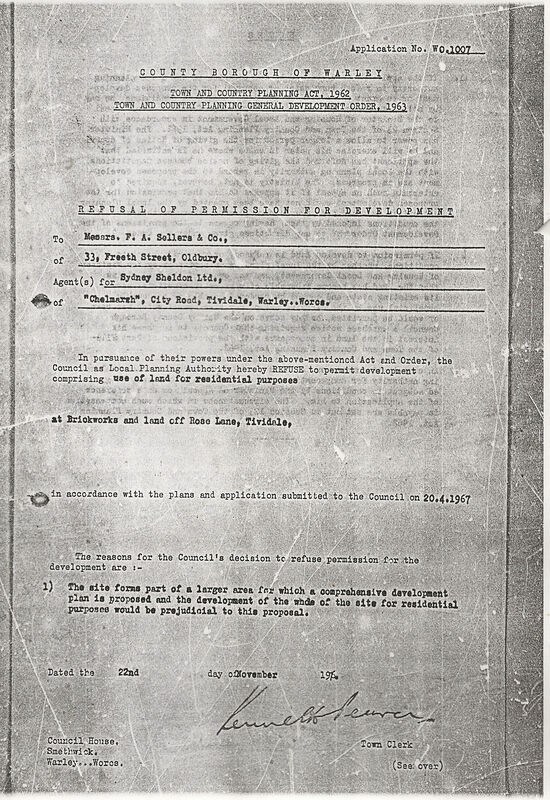 The application was refused on 9/11/67 on the basis that the site formed part of a larger area for which a comprehensive development plan was being prepared and it would prejudice this. Reference is made to the two other current applications (W.0 961 and W.0 9620, just adding to the convoluted proposals for the site. 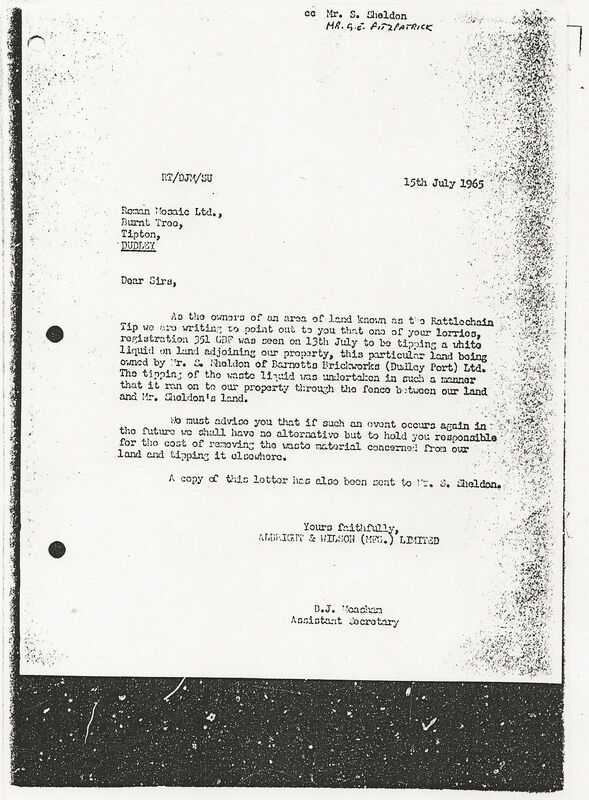 Sheldon has sold part of the land next to the Sewage works to The Upper Main Drainage Authority so that they can use the land for “sludge drying purposes” by 27th June 1968 when this permission was granted. It is clear that a deal between Warley Borough Council and Sheldon was at this point in the offing when the Drainage Authority entered the fray. 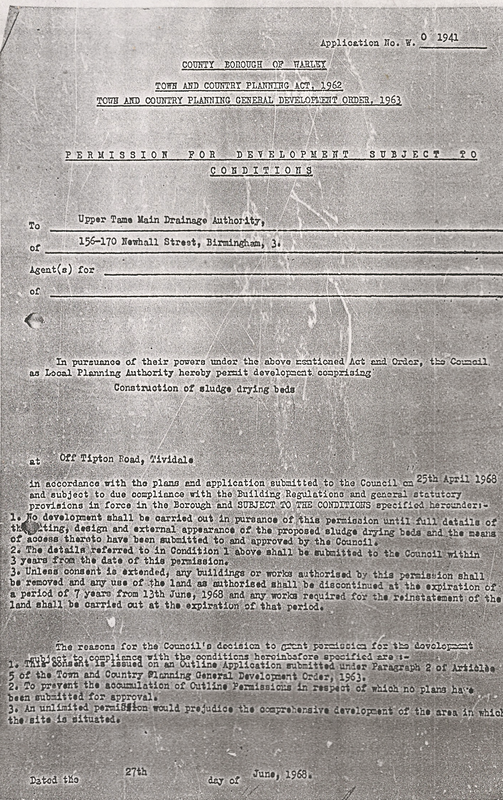 The council recommended a seven year period of the dumping of excrement on this land. 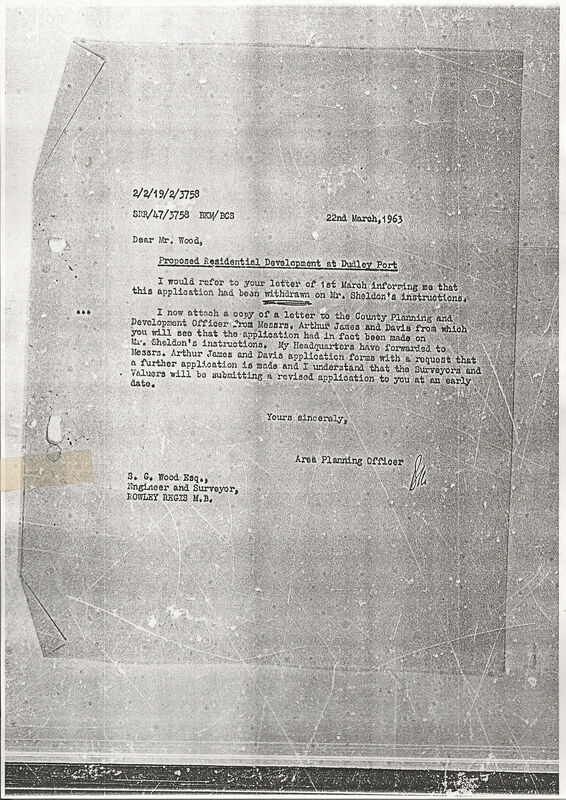 A letter from Arthur Wright of The Upper Main Drainage Authority to the town clerk of the council once again evidences how the Chelmarsh conman was always at the centre of obtaining the best price for land which he had absolutely no intention of using for brickmaking purposes- as granted in application 216. 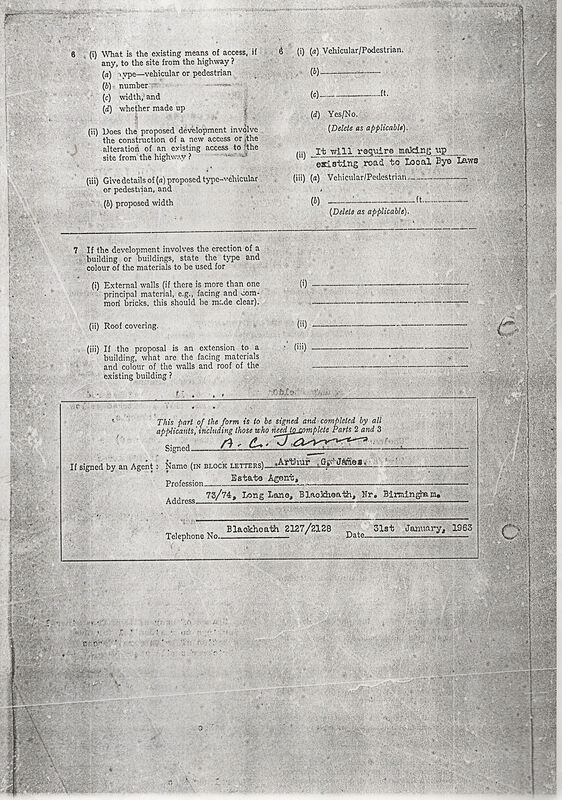 Sheldon was approached by the authority in February 1967, yet it was obviously known to him that the council were also intent of buying the land also. Was he just trying to hold out to get the best price? 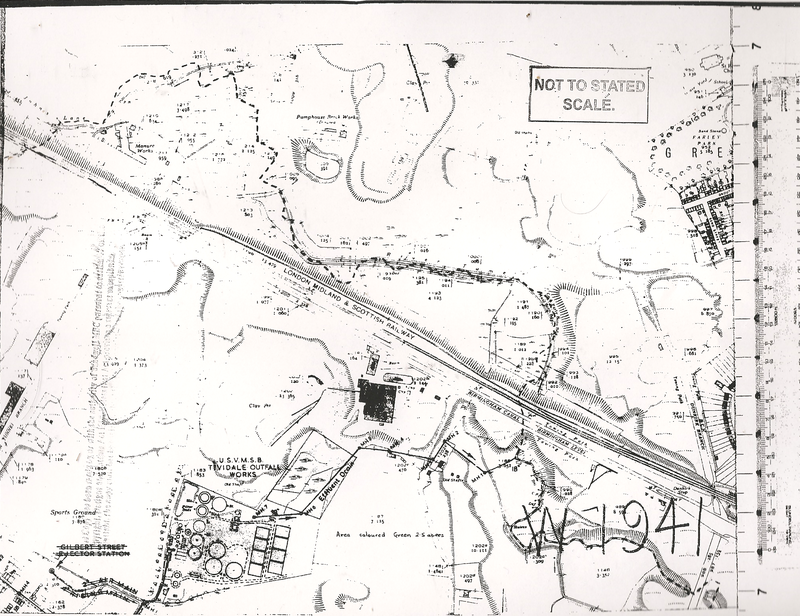 In the application referred to, Wright appears oblivious to the multiple applications previously submitted, which is difficult to believe given the authorities presence in the area for some years. 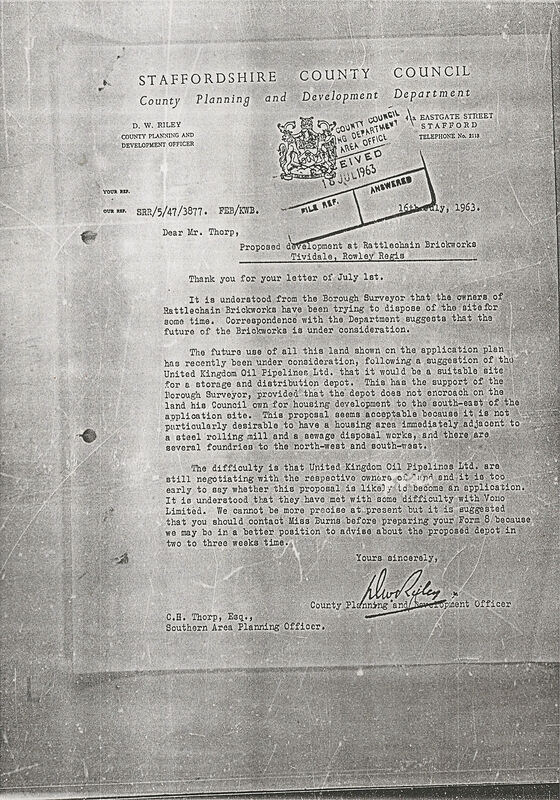 Sheldon would have course known all about previous granted applications- granted under false purposes. 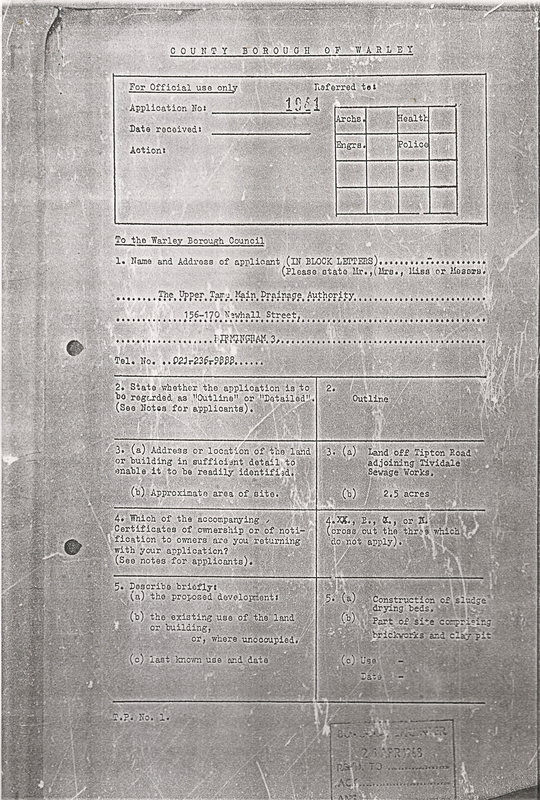 The form B submitted shows the lucky recipient of the cash sale for allowing human waste to be dumped. 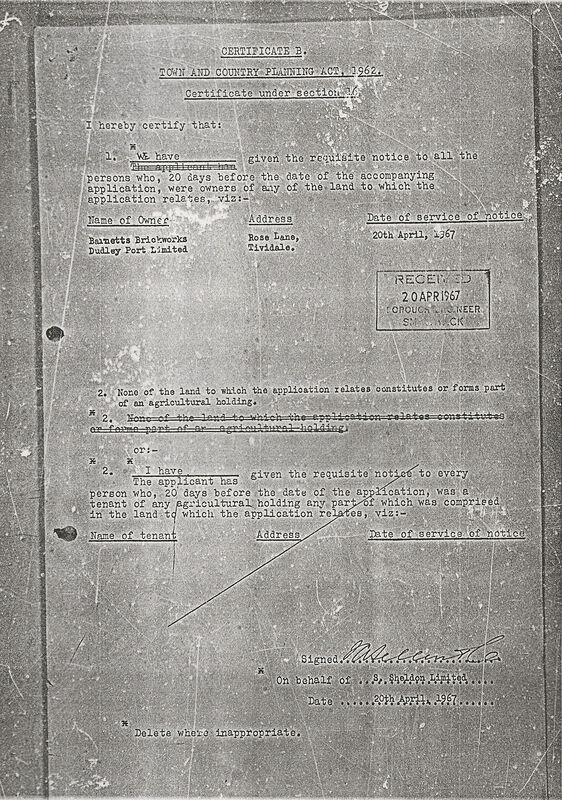 It is extremely doubtful that condition 3 regards “reinstatement of the land” was carried out, except that is covering it over with foundry sand. This application by a new company called “The Stourbridge Brick Company” with a G.W Lloyd as managing Director, appears to be the final nail in the coffin for marl extraction in the area. 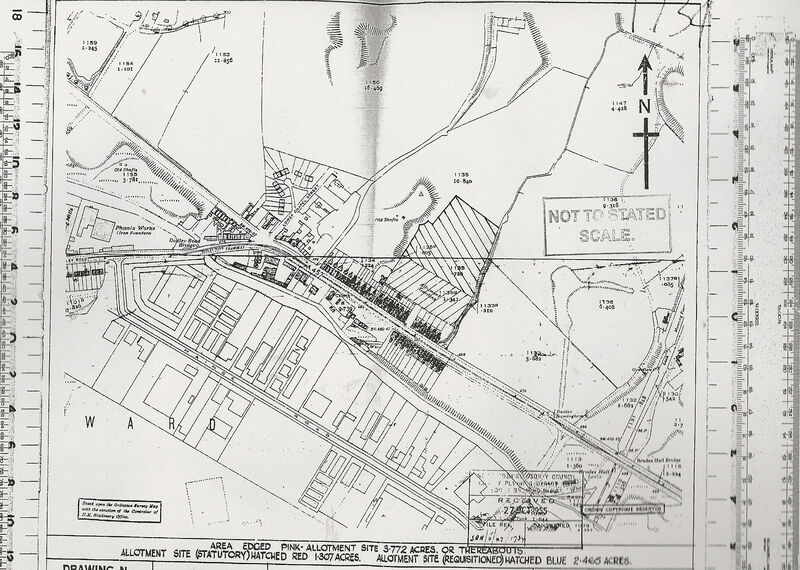 It refers to “Land to the East of Barnett’s Brickworks Tividale comprising a 7.6 acres in size. 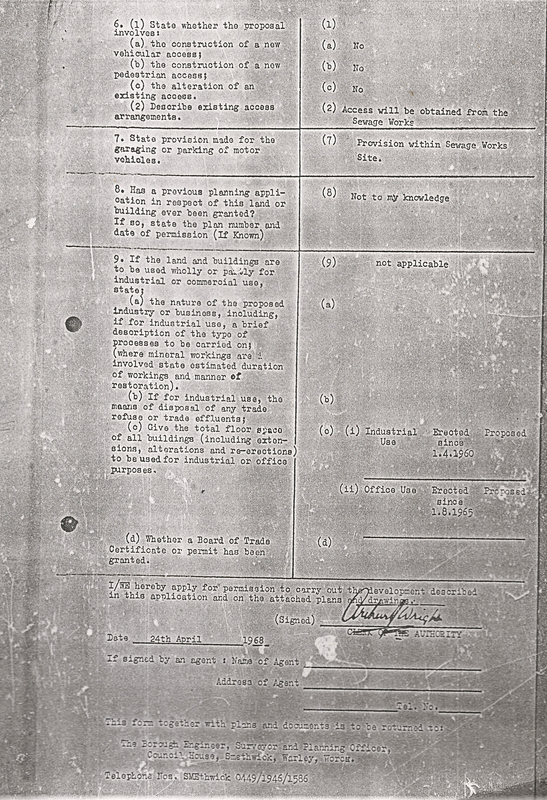 The application is for “Mineral working for brickmaking” with the land being listed as “derelict”. 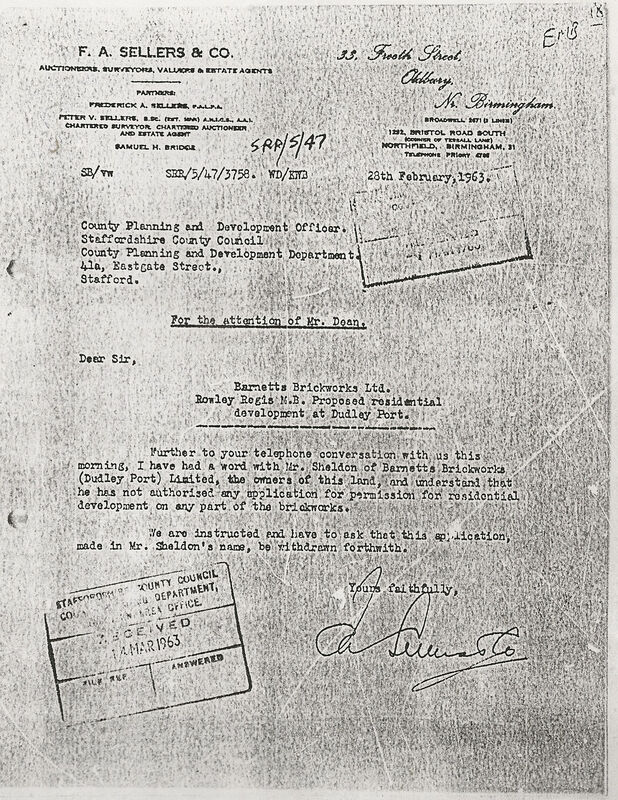 Crucially the owners of this area of land are now listed as “Duport Services Ltd of Sedgley Road East, and not Sydney Sheldon when it was granted permission on 28th July 1970. Despite approval, we have found no evidence that the company ever took up position at the site or extracted any further marl from it. 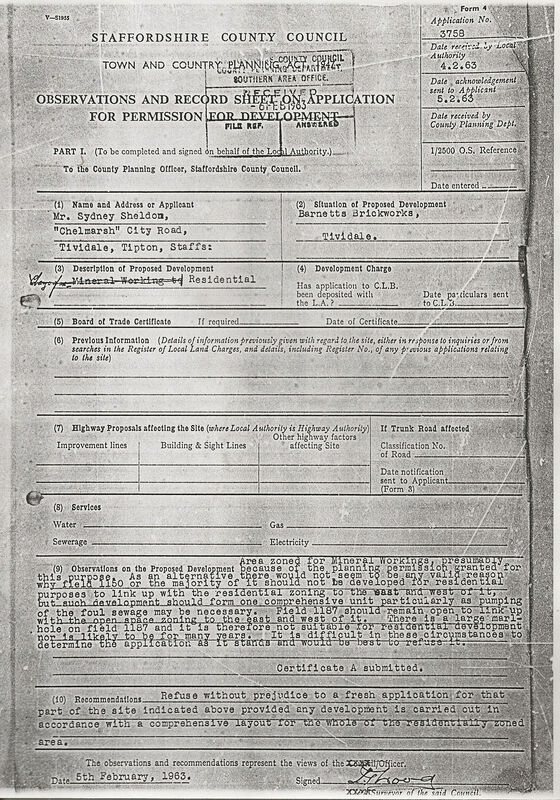 We have however found evidence of Duport Properties Limited registering a freehold interest in land at the site which includes “Rattlechain brickworks”, dudley road and 2.5 acres on the south side of the birmingham canal, Tividale. 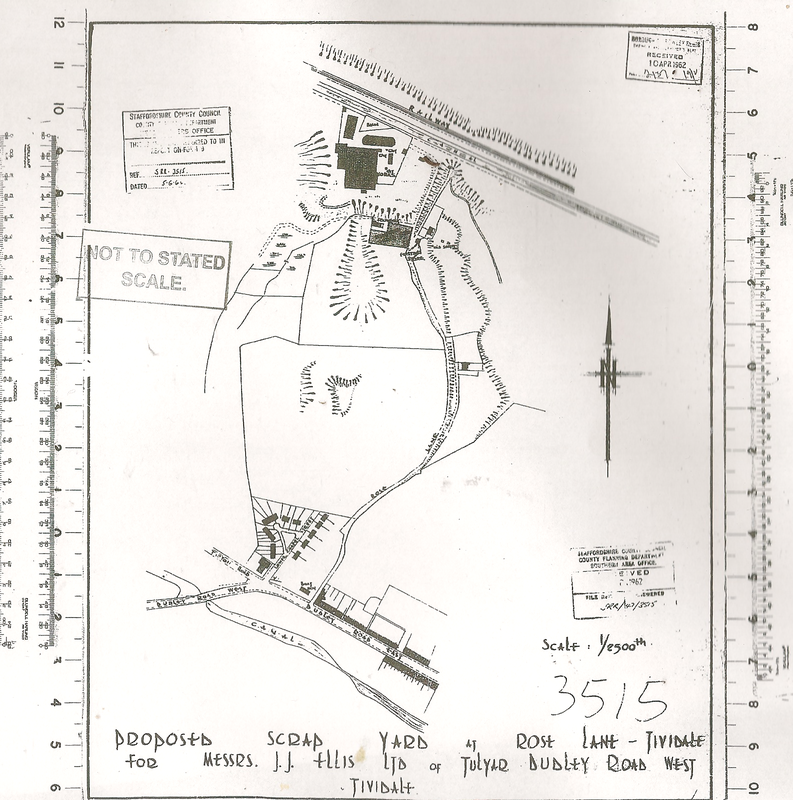 It is our opinion that when one looks at the history of how this site was managed since the 1940’s and how the planning of the wider area unfolded, it gives a roadmap of how NOT to allow activities on a site to continue without scrutiny of what was really going on there. 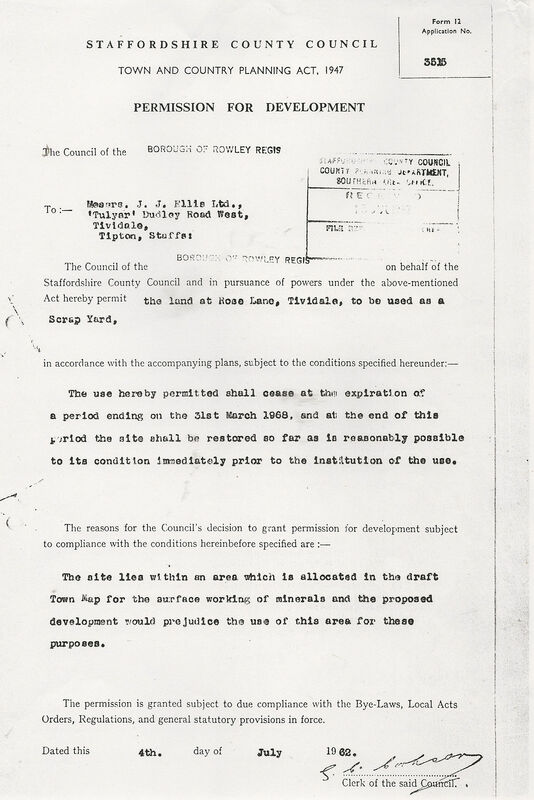 There is a clear problem in “the blackcountry” area as to how areas of land were raped for mineral extraction and then further buggered to allow used land salesmen such as Sheldon to tip materials within them that should never have been added to the ground. THE PLANNERS WERE UTTER FOOLS, AND THIS WAS CLEARLY EXPLOITED. If they had intervened when it became clear that brickmaking was not going to continue on this site, then they could have stopped the area becoming the blighted tatter and tipping Mecca that it became. When the current generation is invited and even expected to gather around the cenotaph or remember the generation who gave sacrifice during the war years, it should perhaps take a pause before doing so when tempered by the historic analysis of some of those who unfortunately survived and gave none. For when it comes to “heroes” there are also those such as W.B Albright and Sydney Sheldon who used the slings of arrows of war to profit outrageously from it and left behind monuments to their own selfish avarice. WE BLAME SHELDON AS MUCH AS ALBRIGHT AND WILSON FOR WHAT TRANSPIRED AT “THE RATTLECHAIN SITE”, AND IT CAN ONLY BE HOPED THAT THE GROUND WHICH HE NOW RESIDES IN IS NOT AS POLLUTED WITH CANKER AS THAT WHICH HE ALLOWED TO BE TIPPED INTO ABANDONED CLAY PITS THAT MADE HIM A MILLIONAIRE AND WILL COST GENERATIONS TO COME MUCH MUCH MORE TO RECTIFY. MOST LIKELY IT NEVER WILL BE.